California's upper Napa Valley is regarded by many as the premier wine-growing region in America. Producing vintages since the 1850s, the mountain-ringed valley studded with ancient oaks is the setting for several wineries that have been active for more than a century, overcoming a variety of challenges from insect invasions to Prohibition. But Napa's "Up Valley" also has a rich pioneer heritage that extends beyond its famous vineyards and cellars. Home to some of California's earliest settlers and the staging and recruiting area for the Bear Flag Revolt, the region was also home to California's first resort spas and a silver and cinnabar mining industry that brought wealth to some investors but disappointment to many others. 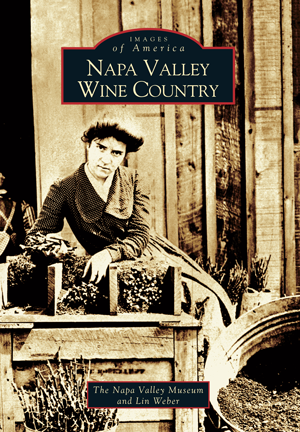 Award-winning historian Lin Weber, the author of Old Napa Valley, Roots of the Present, and Under the Vine and the Fig Tree, has searched the archives of the Napa Valley Museum to create this photographic journey into the past. Additional images culled from the Sharpsteen Museum, the Napa Historical Society, the Napa Valley Vintner's Asscociation, the Napa Valley Wine Library, as well as the collections of several local residents, are gathered here.